Hi!! Happy MAY!!!! I am soooooo excited the warmer months are getting closer and closer. I can't stand the wait. Can you? I hate the winter so very much. I cannot wait to lounge on a beach all day and watch the kids play! Making cards takes my mind off the cold, so on that note.... On to today's card. It's just loaded with fun things. 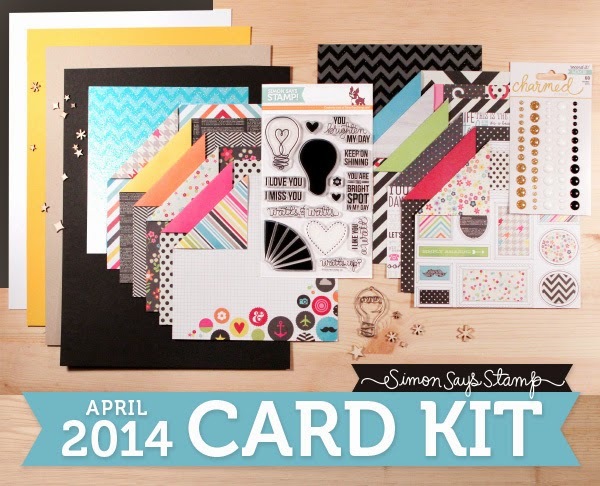 Look at those stamps and how cute is that light bulb paper clip? OMG!!! The papers are just perfection too. Here is the first card I made with it. I just moved and I miss my neighbors from my old house so much! I am making lots of "I miss you" cards these days to let them know we may not be neighbors anymore but I still love and miss them to pieces. I stamped that ray of light stamp that is in the left corner of the stamp set in a bunch of different Hero Arts Neon inks and then cut them out, the light bulb was stamped on the hot pink paper in the kit and heat embossed with white embossing powder. 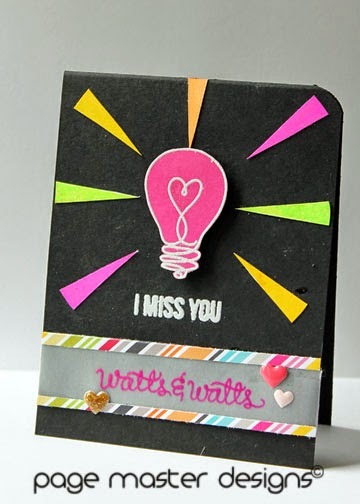 I also embossed the "I miss you" and the "watts & watts". The Watts & Watts is stamped on Vellum. It stays wet longer so you can use a dye ink and embossing powder on it. I used the new Mid-tone Ultra Pink from Hero arts for the title and it embossed great.